The internet was flooded with news, pictures and videos of Muammar Muhammad Abu Minyar al-Gaddafi, ruler and dictator of Libya being trashed and finally shot to death by rebel NTC fighters. Well, the man might’ve had a pathetic end, though he did seem to have a highly luxurious life, accounts of which have now begun streaming out of nowhere with his demise! Known for possessing golden statues, giant portraits and palaces and luxury homes in some of the world’s prime locations, the dictator seemed to live in little paradises made for him while his people lived through hell on earth itself for decades. 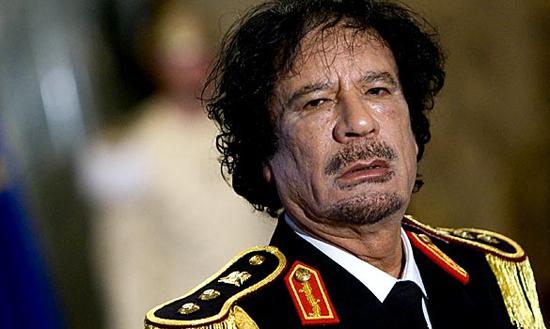 Valued at an astounding $200 billion, the Libyan dictator finally met his end as the world’s richest person to die. Next articleBela Lugosi’s famous Dracula’s cape expected to fetch $2 million!